Really a very cool mood…any zombies out your way? Nice photos. Not just on this post, all of them on your site. Greaaat. 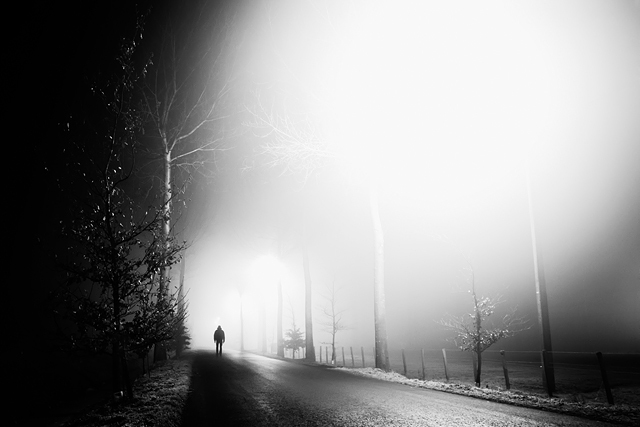 This entry was posted in Black & White, Night Photography and tagged B/W, Beervelde, fog, Fotograaf Lochristi, Lochristi, mist, night photography, road. Bookmark the permalink. Post a comment or leave a trackback: Trackback URL.